This wardrobe closet located in the west part of the GTA in an Oakville condo was a wall to wall, floor to ceiling custom wardrobe closet built to the exact specifications of this master bedroom. 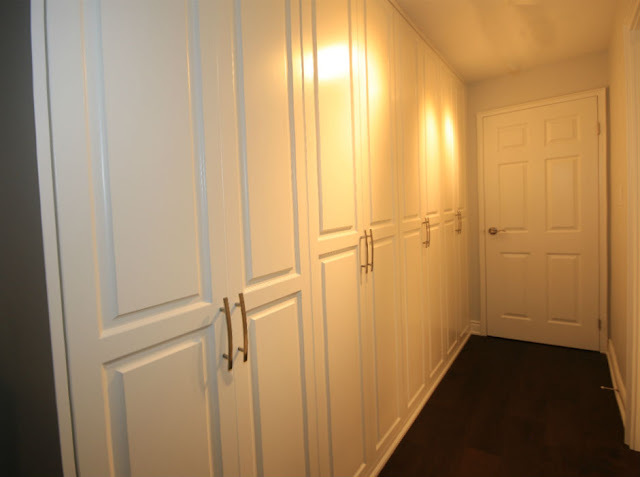 The four section provide ample storage for our clients clothing and organizational needs. The 3 right sections were all the same size with the one on the left being slightly shorter due to the step down section in the bedroom.